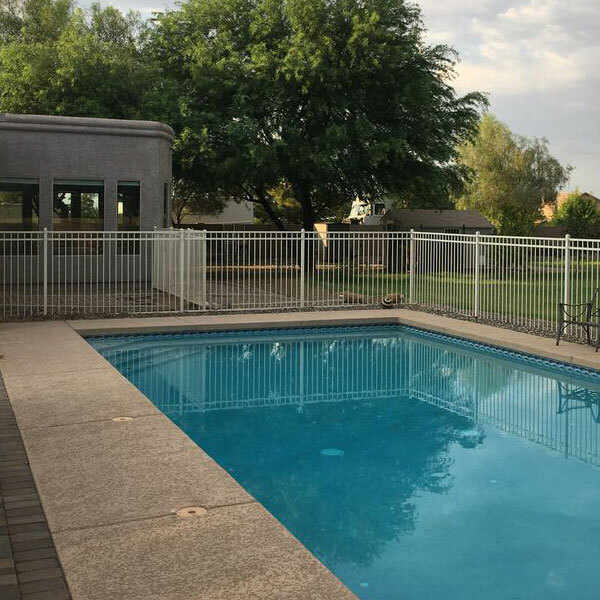 General Fence Company provides custom fence construction to the greater Phoenix metro area and the West Valley, including Glendale, Peoria, Surprise, Goodyear, El Mirage, and surrounding communities. We offer a variety of different fence types to meet your needs and your budget. You can learn more about the advantages of each type of fence below. Adding a custom fence to your swimming pool provides security and peace-of-mind. Whether you have small children or are worried about pets, a custom pool fence with access gate will allow you to rest easy and greatly reduce the potential for accidents. 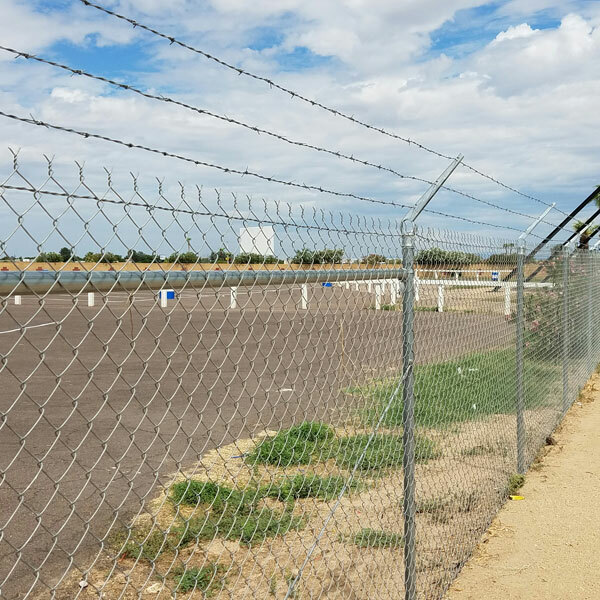 Chain link fence is highly durable and needs little maintenance. It is excellent for residential or commercial applications and keeping unwanted visitors out. Its signature diamond "weave" pattern gives it strength while allowing sunlight to pass through. Wrought iron fence has many of the same benefits of chain link fence plus increased visual appeal. It is very durable and will last for years with minimal maintenance. Another advantage is that wrought iron fencing can be painted to match your landscaping. Contact us today to get a quote on wrought iron fence construction for your home or business. Wooden fencing is great for establishing property boundaries. It has a natural, rustic charm that is well suited to ranch style homes and horse properties. Wooden fencing can be customized in a number of different styles including split-rail, round-rail, and more. Please contact us for details.